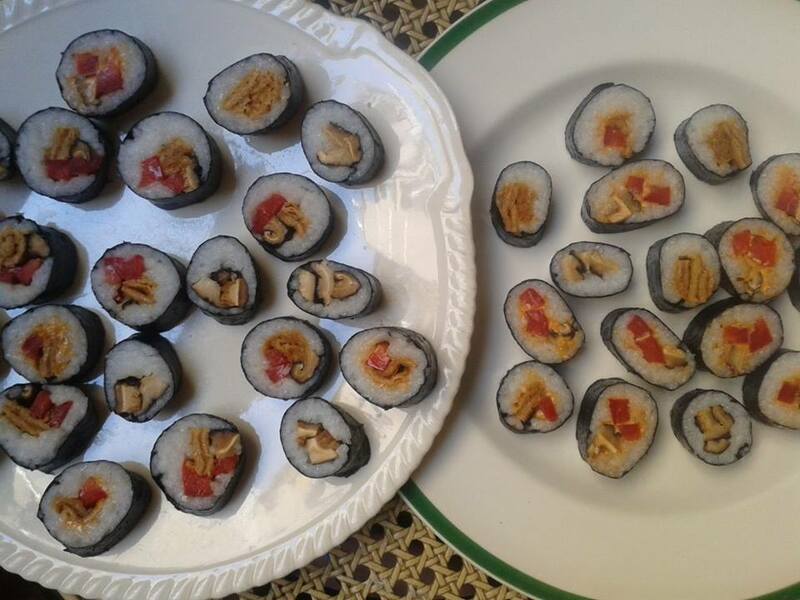 Paris Vegan: Sunday sushi session spiralled out of control. Shiitake, pepper, bean curd sheets, chipotle Vegenaise, sesame seeds. Help.